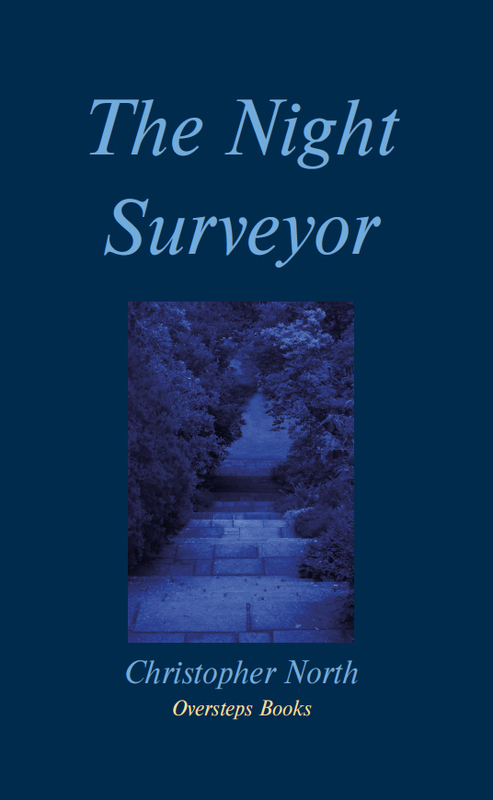 It is always a pleasure to introduce to the wider public a poet who has been writing and publishing for some time, but for whom this is the first collection. 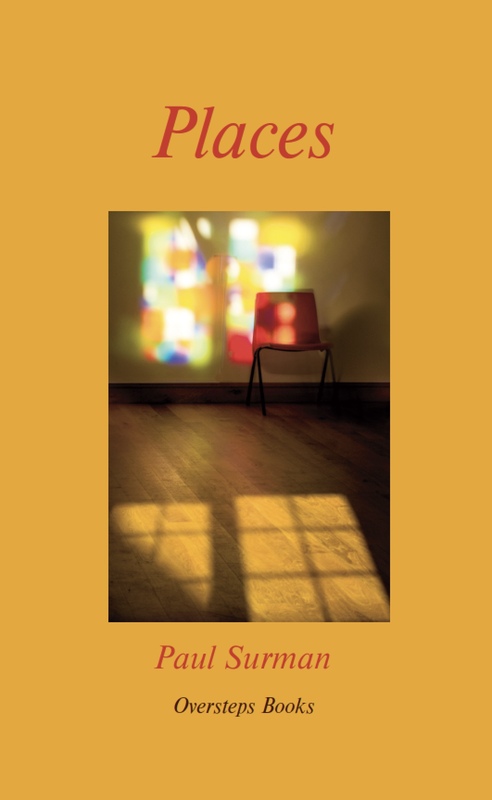 Places by Paul Surman (ISBN 978-1-906856-79-3), price £8 plus p&p. In his poetry, Paul is often ‘the observer unobserved’ as he introduces us to aspects of nature that we might well have otherwise missed. This role is fed by his enjoyment of walking in the Chilterns and his former experience as Reserve Manager of a nature reserve. 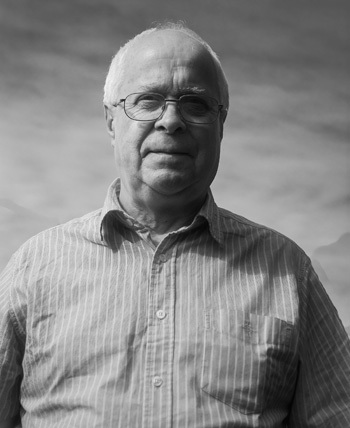 He helps to organise poetry readings and workshops for Back Room Poets in Oxford. 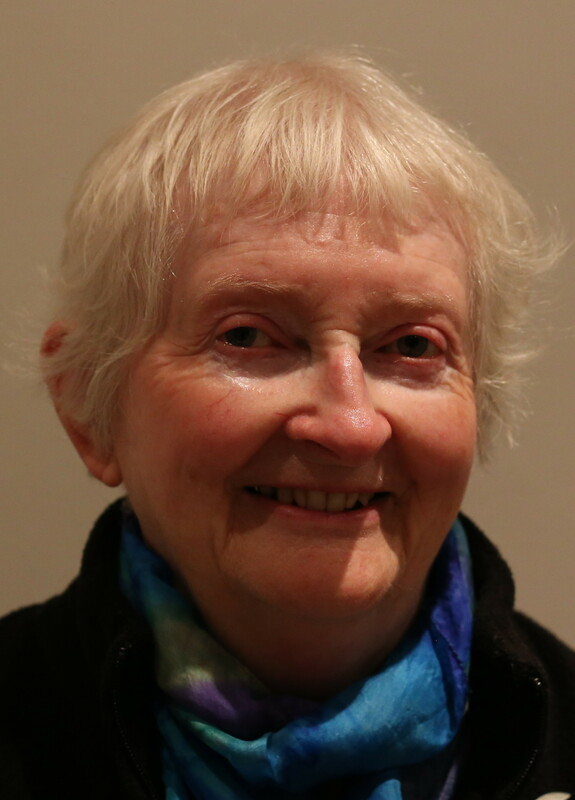 When Anne Born, the former Managing Editor of Oversteps, died, she kindly left a legacy to the Poetry Society which has, for the past four years, provided mentoring for a promising poet. 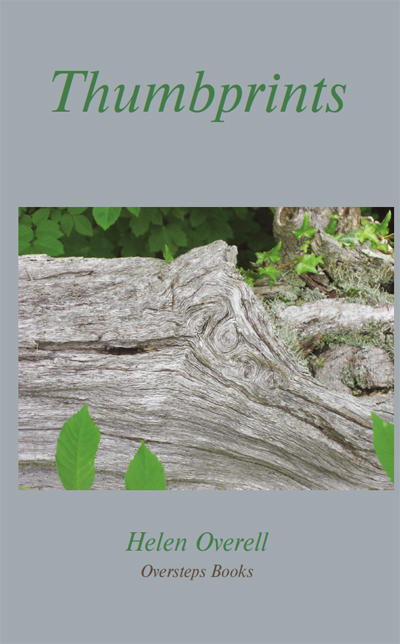 This is now coming to an end, and to celebrate the success of the scheme, we are offering copies of Anne’s last poetry collection, Singing Granites (rrp £12), co-authored by the Australian poet Glen Phillips at half-price (£6) with the purchase of any other Oversteps book, while stocks last. Let us know if you would like to receive one, and add £6 to your payment. Many of the other Oversteps books that are for sale on http://www.overstepsbooks.com can be added to this order. please contact me for bank details if you would like to pay by transfer. Some of you may remember that I took two months off this winter. I have now made up for this absence by producing four books in two months! I won’t be starting any new ones for a little while, so I hope you’ll enjoy these latest two in the meantime. Monica Alvi has described Sally Festing’s poetry as bold and enquiring, taut and emotionally open. This is a good description of a book that opens doors for us, encouraging us to look anew at nature, human relationships and art. 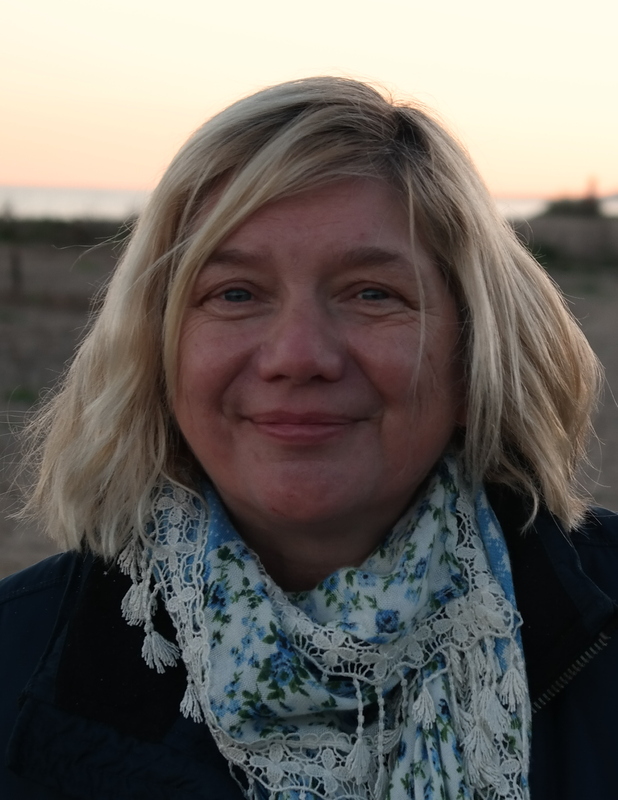 Sally lives in North Norfolk, and her work often has a whiff of that windy coast. She runs Salthouse Poetry in the Burnhams. Angela’s first collection, Weight and Flight was published by Oversteps in 2010. 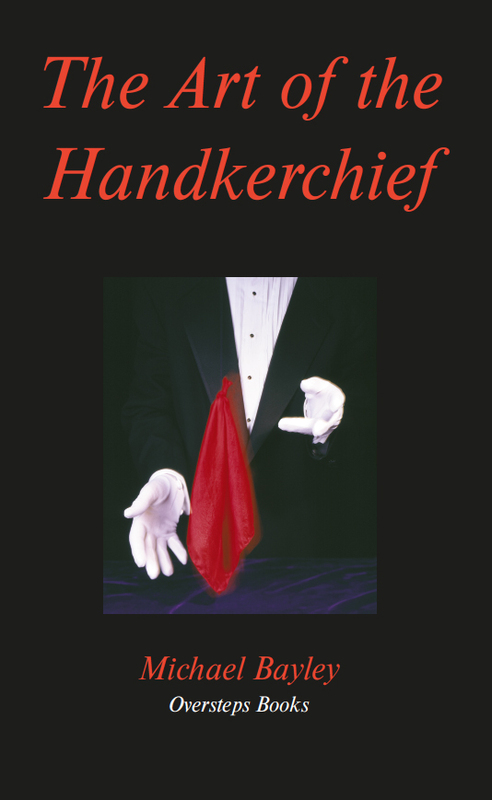 This new collection is very different from that, and indeed from any of our other publications. Taking the myth of the Minotaur and the labyrinth as a starting point, Angela embellishes the story by imagining that, as well as his son Icarus, Daedalus had two daughters. I won’t spoil the story by divulging too much, but there is plenty of excitement and drama, blood and gore in this new take on an ancient myth. Angela lives in the far west of Cornwall and the landscape there is a major influence on much of her work. She is active in the vibrant Cornish poetry scene. 16th July: Oversteps Day at Ways with Words, Dartingon. More readings will be announced in the next newsletter, which will appear in a couple of months’ time. For other news, please see our website, which I attempt, with varying success, to keep up to date. First I’d like to thank all our wonderful Oversteps poets who gave me the necessary space to take a mini-sabbatical for two months this winter. Maintaining a minimum of Oversteps work to keep things ticking over, I was able to travel Down Under, where I enjoyed a relaxing holiday in French Polynesia, time to visit relatives in New Zealand and Australia, and the opportunity to give readings in both those countries. In Perth, Australia, I was warmly welcomed by Oversteps poet, Glen Phillips, who arranged a day of activities including a visit to his Language and Literature department at the Edith Cowan University, a half-hour radio interview, and a wonderful reading in the evening as a guest of the Fellowship of Australian Writers and Western Australia Poetry Inc. 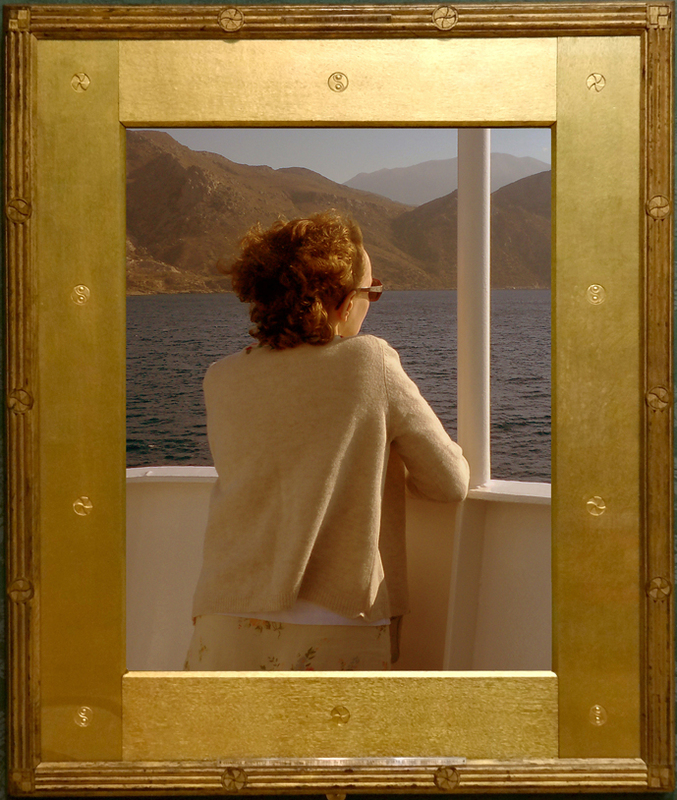 If you’d like to read more about these poetry events (or come to that, the rather exotic holiday I enjoyed in the South Pacific), you can do so by visiting my blog: http://alwynmarriage.wordpress.com . I came back much refreshed, and am now working hard to make up for lost time. That’s why this month I’m launching not one, but two new books – and another two will be following hard on the heels of these two. It is our policy at Oversteps to make the final selection of manuscripts for publication blind. In other words, none of the Editorial Board (including me) know who the poets are until the final decisions have been made. Imagine my delight, therefore, when I discovered that Janet Loverseed had been selected for publication. I had never met Janet, but recognised the name as someone who regularly buys our books. So her success is well-deserved on that count, but also because she writes wonderful poetry. Wendy Klein brings a transatlantic tang to Oversteps. Born and brought up in California, she has since lived in Sweden, France, Germany and England, and her poems reflect this diversity of abode. 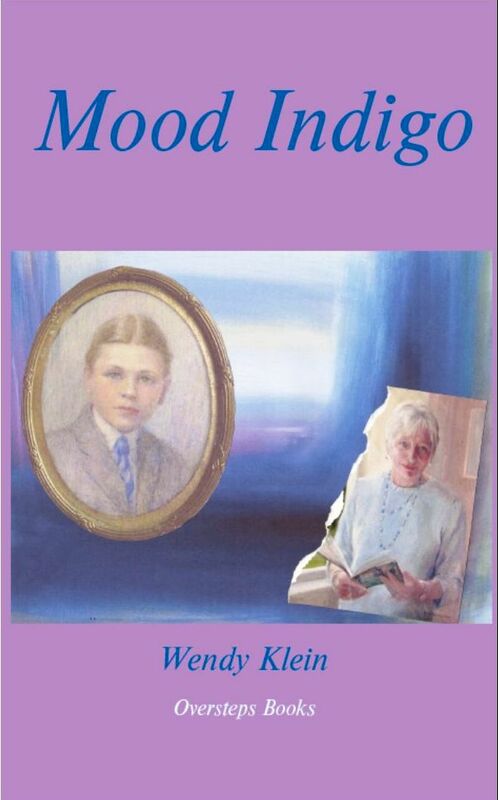 The poetry is beautifully crafted and unfussy, celebrating family and society in equal measure. Both of these books will be going up on the Oversteps website in the next few days, but are available for purchase as from today. While each book costs £8, it is possible to buy the two together for £14 plus p&p. Saturday 19th March: Readings from The Book of Love and Loss at the Teignmouth Poetry Festival, including R V Bailey, Jennie Osborne, Alwyn Marriage and others. More readings will be announced in the next newsletter, due out quite soon. For other news, please see the home page of our website, which I attempt, with varying success, to keep up to date. There were slight delays in publishing both our two latest books: the first (Naming the Tree) because we needed to wait until Poetry Review was published as two of the poems from Simon Richey’s collection were in the journal this spring; and the second (A brush with poetry) because we were making sure the reproductions of pictures from the National Gallery were of the highest quality possible. 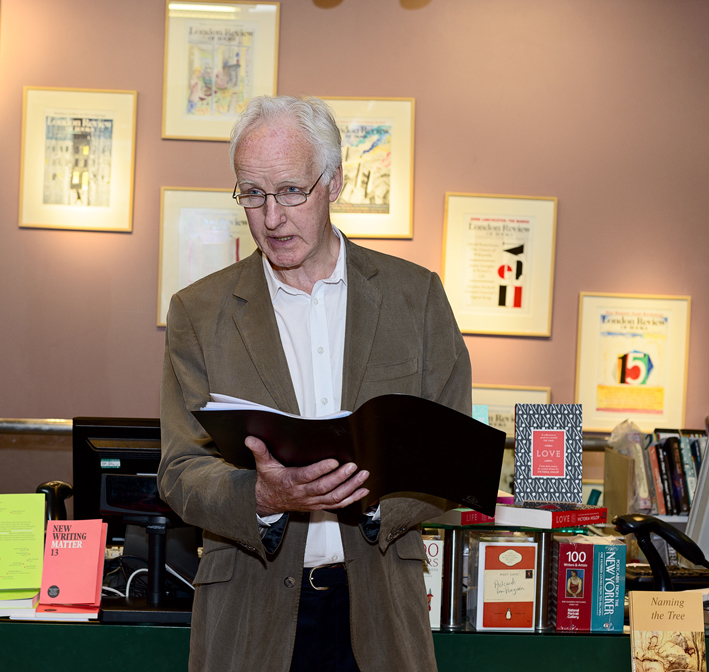 Simon’s book was recently launched at London Review Bookshop. Nearly 70 people crowded into the bookshop to hear Simon read, and well over half of them bought his book. If you are members of the Poetry Society, and read Poetry Review, you’ll have seen two of Simon’s poems in the spring issue and will, I’m sure, jump at the opportunity to read more of his work. This is a beautiful collection of poems based on paintings in the National Gallery, with thirty full-colour pictures accompanying the poems. We are grateful to the National Gallery for allowing us to use the reproductions, and I know the book will be hugely appreciated both for its poetry and for the images. Readings by some of the latest poets to be published by Oversteps: Cora Greenhill, Ken Head, Simon Richey, Michael Bayley, Lynn Roberts and John Torrance. A C Clarke, Susan Taylor and Simon Williams. Illustrated readings Poetry and art are close sisters, and we often find an overlap between the visual arts and the written word. This afternoon, poets and artists will show examples of art and read the poems relating to them. Several of our poets divide their time between Britain and another country. Sharing poetry inspired by France, Greece, Germany, Spain and New Zealand, Cora Greenhill, Rebecca Bilkau, John Torrance, Christopher North, Hilary Elfick and Charlie Hadfield will take us on some international journeys as they bring the Oversteps Day 2014 to a close. Robert Stein has been appointed as Head of Communications at the Society of Authors. 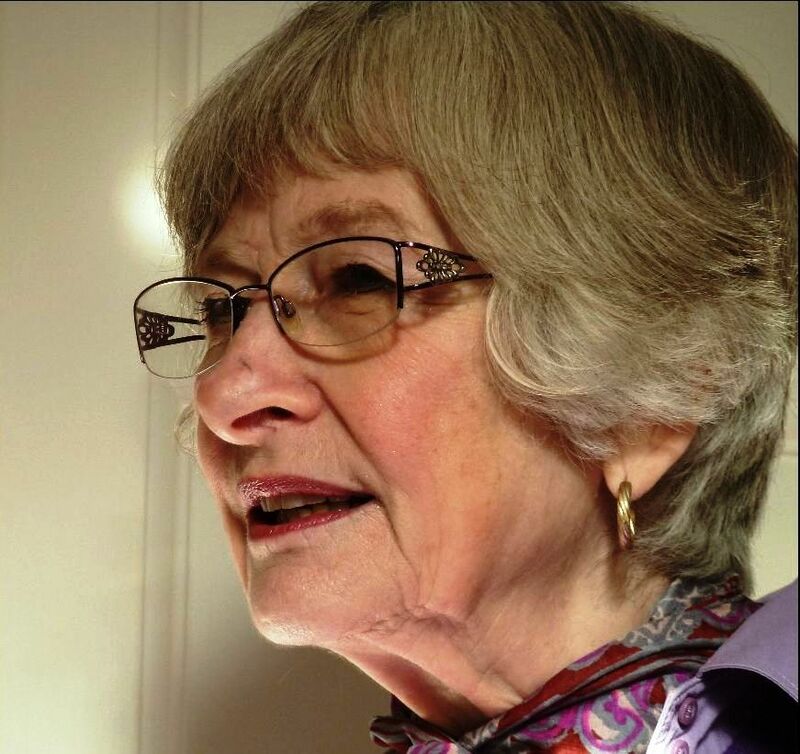 Jean Atkin is Poet in Residence at Acton Scott Historic Working Farm in Shropshire; and she will be reading at the Ledbury Poetry Festival with Myra Schneider and Deborah Alma. Some of our poets will be involved in the Cornwall Contemporary Poetry Festival on 28th and 29th June. We hope to see some of you at the Oversteps Day on July 6th. 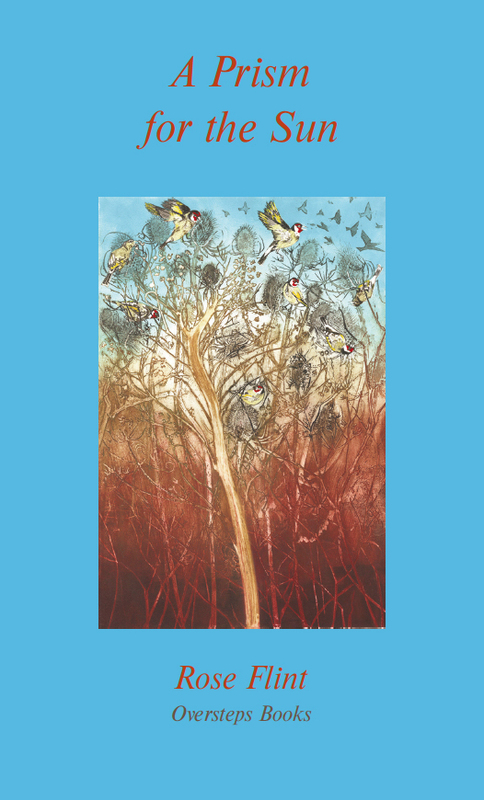 As spring erupts in joyful colours and the song of birds, two new Oversteps books fly the nest and go on sale. Penelope Shuttle writes of this book ‘Michael Bayley’s long-awaited first full-length collection reveals a poet of assurance and fluid deliberation.’ The book celebrates the natural world and the world of art and includes a delightful section on animals called ‘A Brief Summary of Animal Husbandry’. 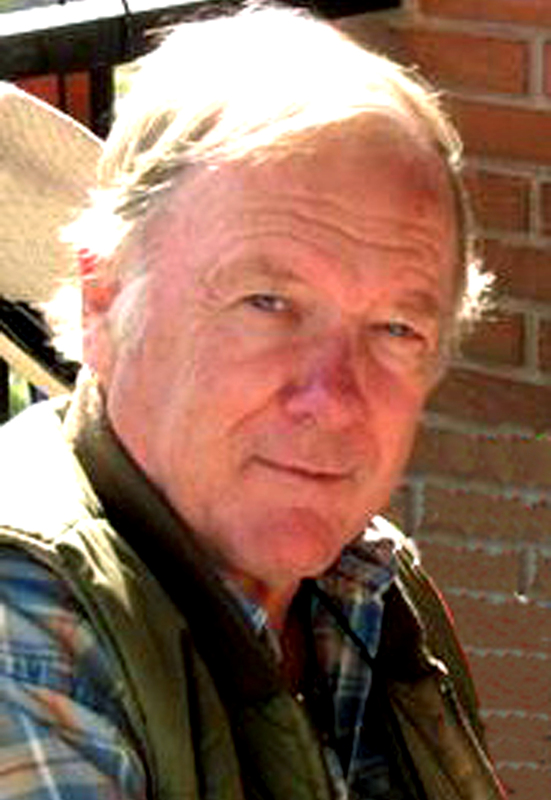 Christopher North has been published by Oversteps twice before – once in a solo collection (Explaining the Circumstances) and once jointly with Terry Gifford in a bi-lingual English-Spanish work entitled Al Otro Lado del Aguilar. Christopher’s name crops up frequently in prize-winners lists, which is confirmation, if any were needed, that people enjoy reading his poems. Ross Cogan was commended in the Troubadour Prize competition and won first prize in the ‘Sonnet or Not’ competition. In recent months Rebecca Bilkau has been shortlisted for both the Sentinel Poetry Prize and the Plough Poetry competition. John Torrance gave a reading from Waterwheel to the Third Plymouth Dementia Conference at the end of January. Following her time as Poet in Residence in Winchester, an extended profile of Alwyn Marriage was recently featured on the back page of the Church Times (file:///Users/alwynmarriage/Desktop/Church%20Times%20interview.webarchive – see back page). 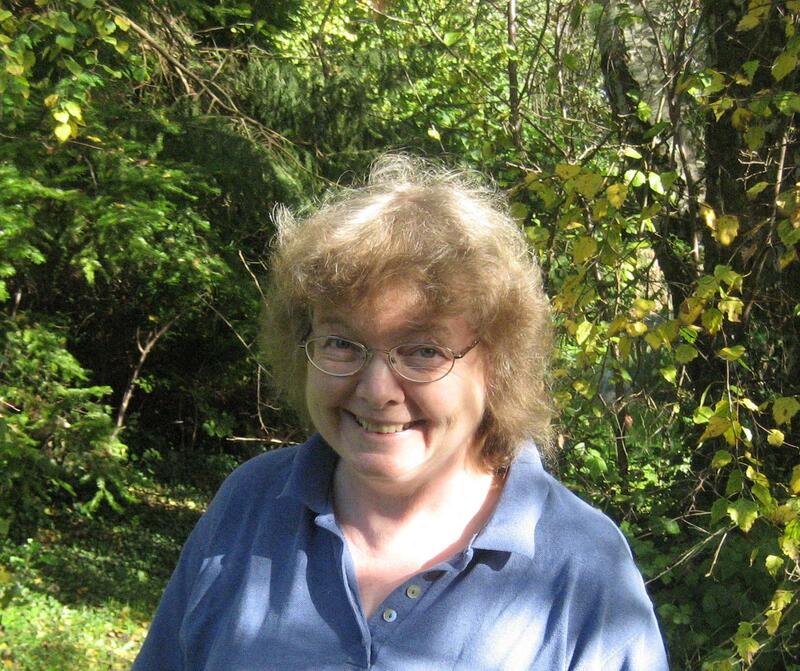 Joan McGavin has been selected to be the Hampshire Poet for 2014. 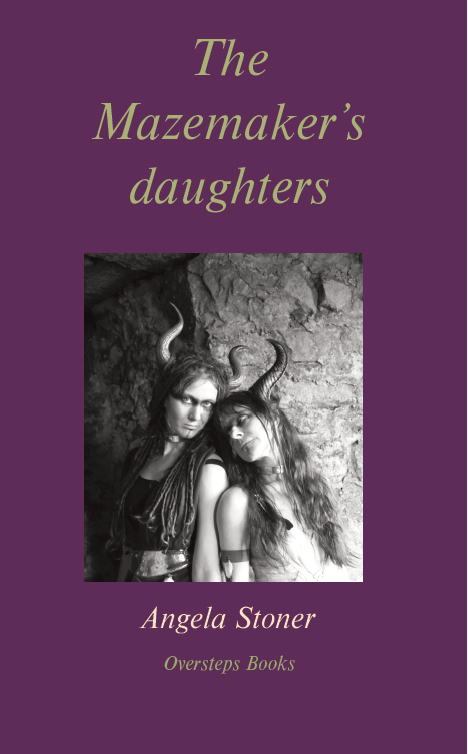 She will also be involved with the Winchester Poetry Festival from 12th to 14th September. 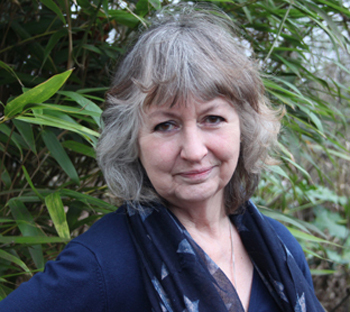 Jennie Osborne will be reading at a Poetry Day for Spring at the Brixham Theatre Coffee Lounge at 2.30pm on Sunday 16th March. One of Alwyn Marriage’s poems has been selected for the Poetry on the Buses in Guernsey, and will be launched at the Guernsey Literature Festival in May. 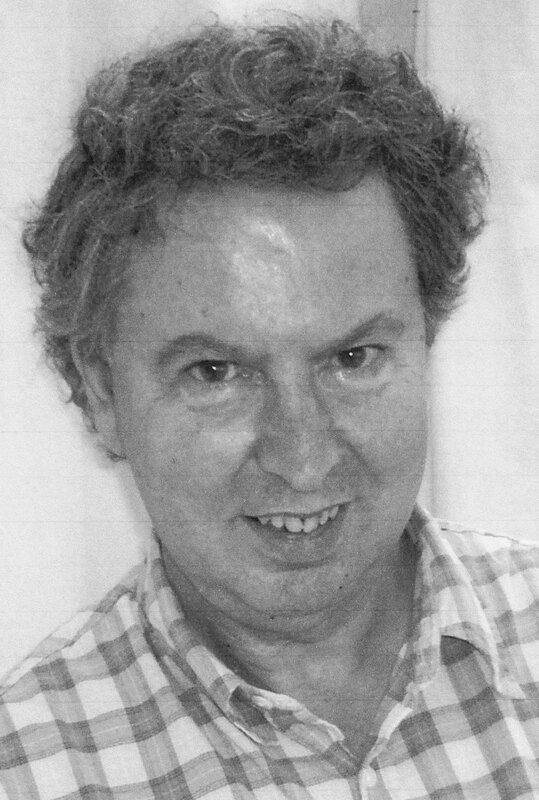 There was recently an interview with Oversteps poet, Robert Cole, in the recent issue of the Central Brittany Journal. Naming the Tree by Simon Richey and A Brush with Poetry by Lynn Roberts will both be published in April. The launch of Naming the Tree by Simon Richey will be at the London Review Bookshop at the end of April (by invitation only). It is worth noting now that this year’s special full day of Oversteps events at Dartington will be slightly earlier than it has been the last few years. It will be on Sunday 6th July, and we’ve got a fascinating programme planned. Do put the date in your diaries now, and come along for another feast of poetry. In the meantime, enjoy the spring and read as much poetry as possible – including the two books recommended above.